Did you realize how much style and elegance you could give your property with the right garage doors? 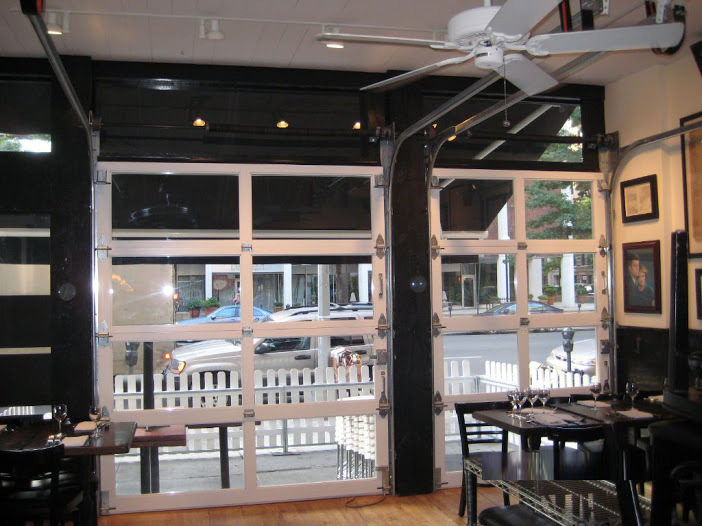 Glass garage doors for your New York City restaurant or storefront do just this—while still filling an important functional need for your building. At The Overhead Door Company of the Meadowlands and NYC, we offer a number of attractive and elegant aluminum and glass window and door options. These offer contemporary elegance with a modern touch. Our garage doors are sleek, sophisticated and the clean lines are a great touch to any upscale building. These doors are functional as well as attractive. They allow the maximum amount of light to infiltrate your garage area and they still provide protection from the elements. We can help you choose a door option that will serve your business well both functionally and as a way of attracting customers with an upscale appearance. View our photo gallery and see what we have done for other businesses around town. 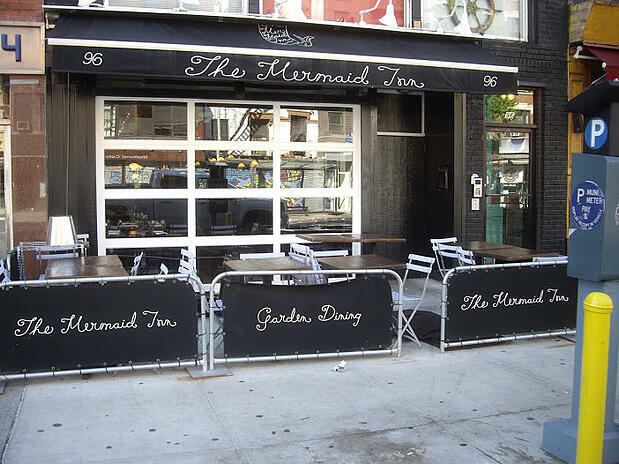 Then, if you would like to learn more about glass garage doors and other stylish options for your New York City restaurant or storefront, call or contact us at The Overhead Door Company of the Meadowlands and NYC. One of our design experts will be happy to discuss your project and help you choose doors that are the ultimate blend of form and function!